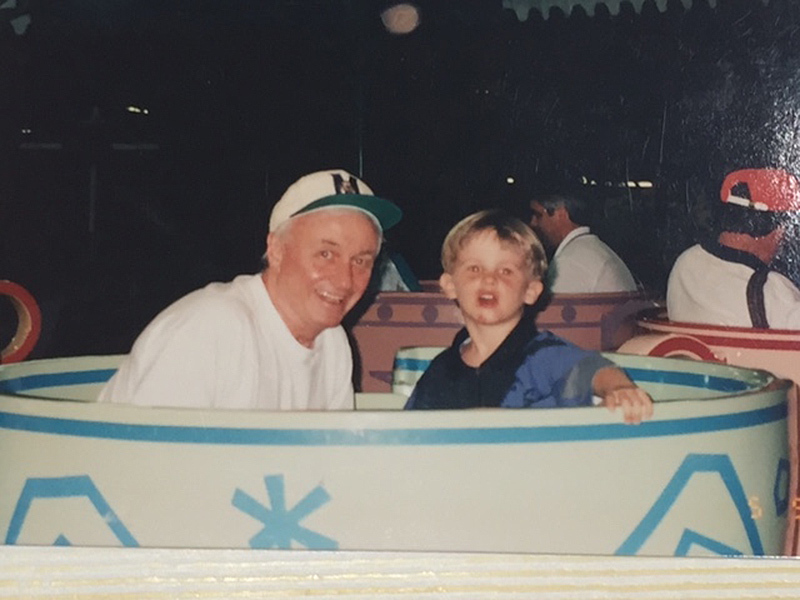 A close friendship quickly developed between the two, and Father Mychal’s peaceful spirit enabled McDonald to forgive the 15-year-old who shot him in Central Park – and to find the strength to move forward. “He helped me understand life was worth living – even though I was left like this – and that I had a purpose,” he says. Father Mychal, the beloved chaplain of the New York City Fire Department, also had a purpose the morning of Sept. 11, 2001. He raced to the site of the attacks on the World Trade Center to comfort and pray for his charges. While administering last rites to a fireman, one of the towers collapsed, and Father Mychal was struck and killed by falling debris. 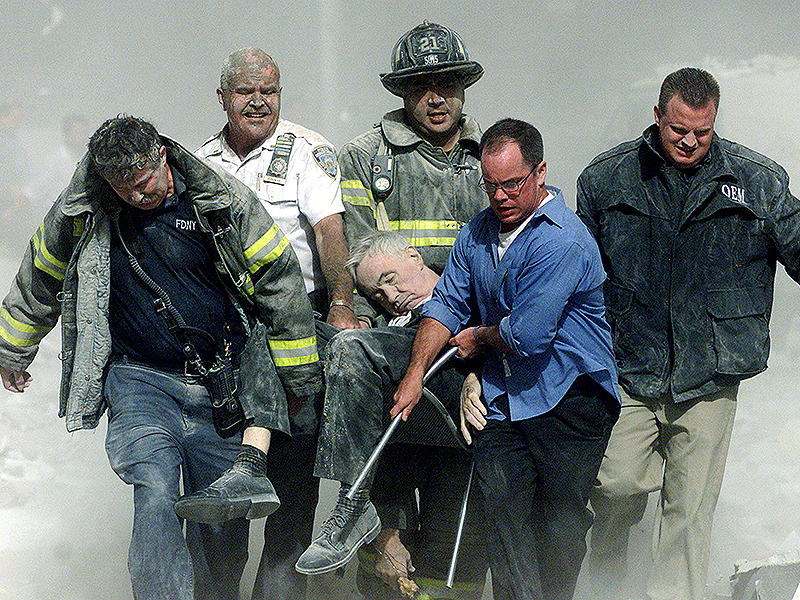 Rescue workers carry fatally injured New York City Fire Department Chaplain, Father Mychal Judge, from one of the World Trade Center towers in New York on September 11, 2001.
he 68-year-old Franciscan priest’s death was the first to be documented that morning, and the photo of rescue workers carrying his body through the rubble became one of the most iconic of that tragic day. 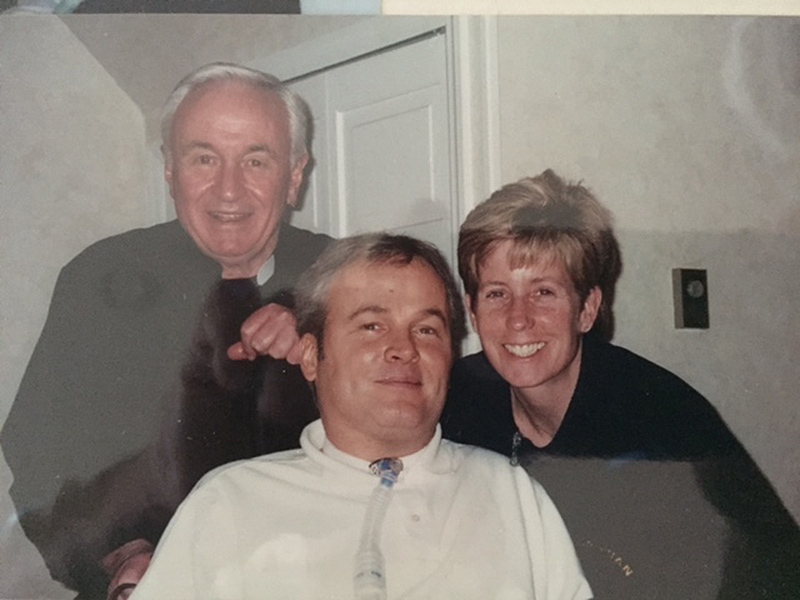 His life’s work of comforting the poor, those with HIV/ AIDS, and the grieving or injured like McDonald was something the detective wished to celebrate after Father Mychal’s death. “He was close to God,” McDonald says, “and a man of peace.”In 2002, McDonald and pal John Bates co-founded an annual gathering to honor the priest and all the other victims of the 9/11 attacks. 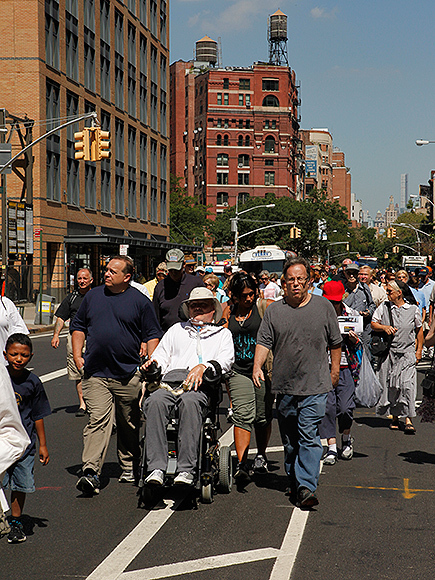 This year’s Father Mychal Judge Walk of Remembrance is Sunday, Sept. 4 at 10 a.m. (with an optional rosary and Catholic mass at 9) in front of St. Francis of Assissi Churchin Manhattan, where Father Mychal lived and prayed. It is open to all members of the public. McDonald, in his motorized wheelchair, has led the crowd that has since grown to around 600 people. 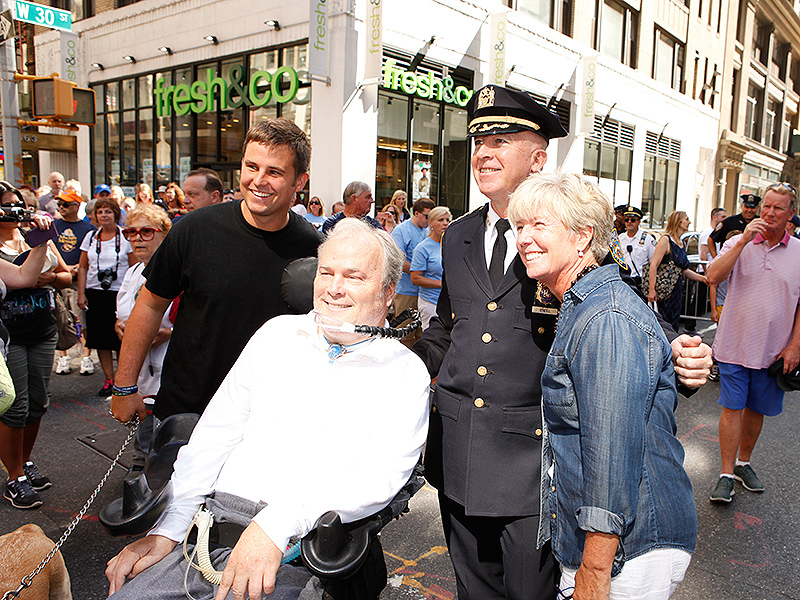 They wind downtown along Seventh Avenue to the World Trade Center site – following the same route that Father Mychal took on 9/11 – with stops at firehouses and police precincts along the way. It finishes at St. Peter’s Roman Catholic Church, where Father Mychal’s body was brought from Ground Zero.